"It is truly an all in one app. 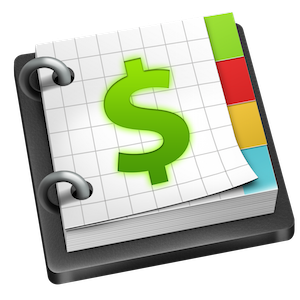 Bill planning, budgeting, and keeping track of transactions…and it is all synced." "Simplicity what makes it superb!" 1. 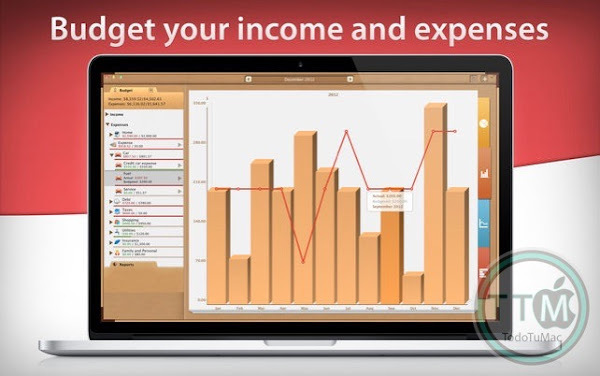 BUDGET INCOME AND EXPENSES WITH EASE. Just plan your income and expenses using detailed categories and input data when you actually spend money; once you analyze the difference between real and budgeted expenditures, you'll find ways to save more. 2. PAY BILLS ON TIME. A whole system of reminders and alerts showing a number of upcoming bills won't let you ever miss a bill payment. 3. 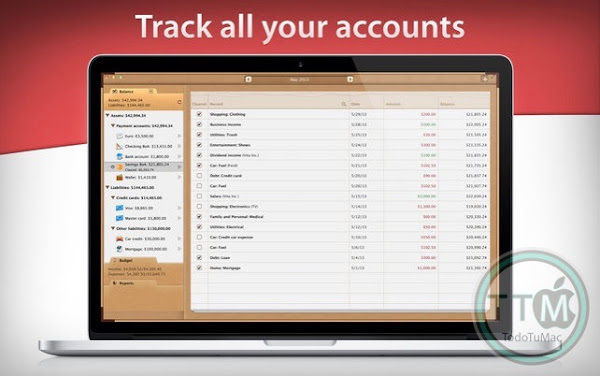 TRACK EVERY ACCOUNT (credit cards, checking, savings account, etc.). It doesn't matter how many accounts you have. Download your financial data from your bank through OFX import and keep it always up-to-date with a single tap of your finger. 4. 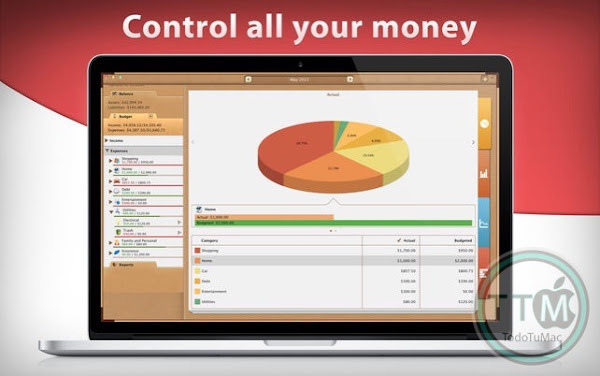 CONTROL ALL YOUR MONEY timely and totally by analyzing a number of sophisticated reports, graphs and diagrams. 5. USE ADVANTAGES OF THE INTEGRATED APPROACH. A bill paid from the bank account will automatically change the account balance and influence your budget. Using your own credit card when paying for business travel expenses you can keep separate accounting for your personal and business expenditures. 6. KEEP YOUR DATA IN SYNC on all your devices: iPhone, iPad and Mac. • Income, Expenses, Transfers between accounts. 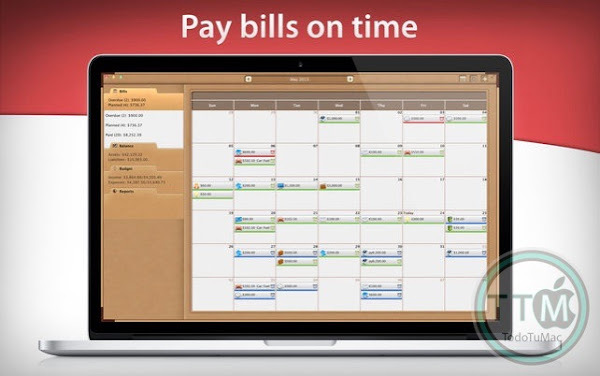 • Calendar with a view of all planned/paid/overdue expenses. • Recurring and automatic bills. • Alerts for bills, which close to due dates or overdue. • Additional fields for organizing your records including payee, description, check #, class (personal/business travel expenses). • Attachment of receipt photos and voice comments. • Unlimited number of accounts in one place (checking, savings, credit card, etc.). • Import of bank statements (OFX files). • Automatic categorization based on previous transactions. • Multiple currencies support & automatic update of exchange rates. • Accounts reconciliation (balance and cleared balance). • Custom budget periodicity (weekly, biweekly, monthly, etc.). • Recurring and non-recurring budgets (different budget amounts for every set period if needed). • Visual indicators for budget overspending. • Budget progress within each category and as a whole. • Budget trend chart in time. • Reports by accounts, classes, payees, transaction types, etc. 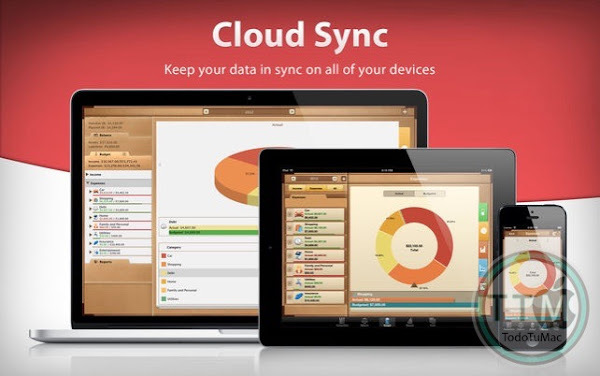 • Automatic iCloud synchronization (iPad, iPhone, Mac). • Print and Export to PDF, QIF, CSV formats. • Backups of your data. • Several financial profiles in one app (f.e. personal profile, business profile).